1. Free technical support. 2. Free full technical training. 3. On site delivery. 4. Onsite services as possible. 5. Online service support. 6. Services provide by dynamic & dedicated engineers. 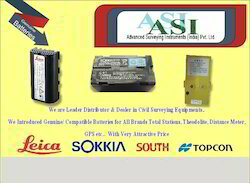 We are an acclaimed name engaged in offering our precious clients a superior quality range of Total Station Battery & Charger Accessories. 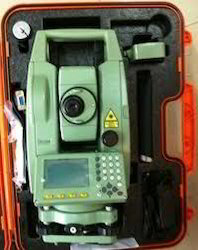 They are compatible for all branded survey instruments - topcon , sokkia , leica , trimble , south , foif , garmin, etc. Our offered range is manufactured by our professionals using high grade raw material and advanced technology in compliance with the set industry standards. In addition to this, our provided range undergoes various tests under the supervision of quality controllers to ensure its flawlessness. Clients can avail this range from us at market leading rates. 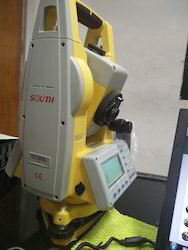 From our wide range of products, we are offering excellent quality SANDING STS-750RC Total Station that is highly demanded among our clients. These are manufactured using finest quality material by our skilled designers. The offered range is quality tested by our skilled designers on various parameters. In addition to this, our esteemed clients can avail these products from us at industry leading prices. Being leaders in the market, we are importing, trading and supplying an excellent range of Leica Sprinter 50 Digital Auto Level. Our provided range is designed by adept personnel to ensure to design this range in strict adherence with set industry standards. These are accurate electronic levels that provide error-free measurements and readings at construction sites. The offered range is available in different specifications, as per emerging demands of our clients. Apart from this our clients can avail these products from us at market leading prices. Our firm specializes in providing a quality array of Sokkia-B20 -A, B30- A & B40 -A Auto Levels to our prestigious clients. These devices are manufactured using excellent quality material and cutting edge technology at vendors end in compliance with international standards. Our offered range is tested on various parameters under the guidance of our experienced professionals. These devices incorporate the most precise and reliable compensator available in the market today. Furthermore, the optimally designed telescope provides exceptionally bright and sharp view that reduces operator’s eye strain. Keeping in mind the diverse requirements of our clients, we provide these devices in various specifications at affordable prices. Empowered with a team of passionate personnel, we are engaged in offering a broad collection of Topcon Cygnus. Our offered Cygnus are strongly built using quality approved raw material and the latest technology. These Cygnus are highly demanded among our clients for their precise design, high functionality, smooth performance and long operational life. We assure that the Cygnus offered by us is outstanding on counts of durability. 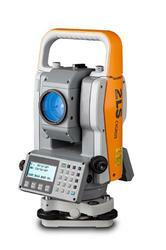 We are engaged in offering our clients a high quality range of Optical Surveying Focus Total Station. 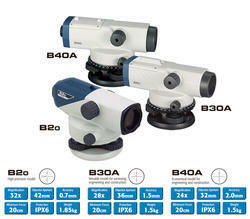 It is a new range of motorized total stations providing high speed, accuracy and precision in measurement. The FOCUS 35 robotic instrument moves the power of the observer from the instrument to the range pole, improving efficiency. The speed of observation and precise positioning of the FOCUS 35 Robotic Total Station is provided by patented Step Drive motion technology, which controls the horizontal and vertical motion of the motors, eliminating the need for traditional motion locks. The offered station is manufactured as per the set industry norms using quality approved raw materials and sophisticated technology. Keeping in mind the diverse requirements of our clients, we provide the entire range in various configuration and technical specifications. In order to ensure the quality of thise station, our skilled professionals perform a series of test against various parameters. 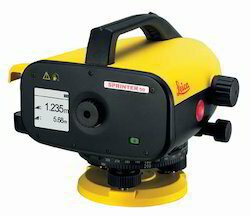 Established in the year 2012 Advanced Surveying Instruments (india) Pvt. 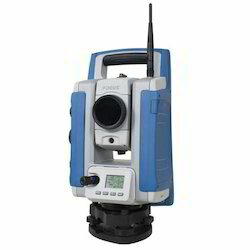 Ltd is gaining popularity as the most trusted Manufacturer, Exporter, Wholesaler, Trader, Retailer and Importer firm of high performing Surveying Products. As an ISO 9001:2008 certified company, we envision becoming the market leaders of best in class products including Total Station Battery amd Charger, South Products and Sokkia Products. Since the beginning we are exhibiting our mutual commitments towards quality in presenting a broad gamut of industry approved products, featuring comprehensive benefits of innovative designs, robust quality construction, superior performance, longer battery backup and user friendly operation. Further, we are progressing towards the recognition of a reputed brand by rendering professional services for installation and after sales and NABL repair calibration Services. Our business approach encourages innovative ideas in our people, who are motivated to bring forth new and improved products for our esteemed clientele. Further, we strive to become a customer focused company by staying on the competitive edge of prevailing technology and allied support of leading brands, such as DGPS, TOTAL STATION, DIGITAL THEODOLITE, AUTO LEVEL, TOPCON , SOKKIA, LEICA, SOUTH, PENTAX, NIKON. In addition to this, the reflection of our offered quality, cost efficiency and customized services equips us to build consistent business relationships with a huge client base, including renowned entities from our exporting country ZAMBIA.